I had the pleasure of delivering the opening keynote at the Agile Software Architecture Symposium that took place in The Netherlands last week. 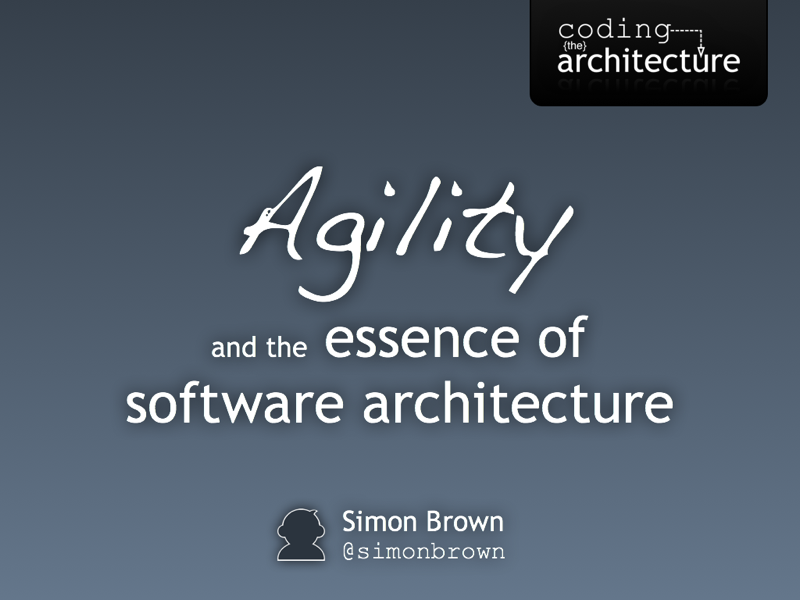 My talk was called "Agility and the Essence of Software Architecture," and the slides are available to view online. My keynote at the conference last year primarily focused on the perceived conflict between software architecture and agile approaches, specifically related to the role of software architects and how much up-front thinking should be done when undertaking a software project. This year I focused more on what agility means, how to create a software architecture than is "agile" and some of the practices that support this. I finished by sharing my experience of how teams can influence change by introducing, or sometimes reintroducing, these practices.